17 April 2019 – Yesterday, Bahrain’s Fourth High Criminal Court issued the final verdict in the trial of the so-called Bahrain Hezbollah cell. Despite concerns regarding arbitrary detention, torture, and ill-treatment, the court revoked the citizenship of all but one of 139 defendants on terrorism charges in a mass trial involving 169 defendants. This is the single largest denationalization case in Bahrain and it brings the total number of individuals who have had their citizenship revoked to 990. 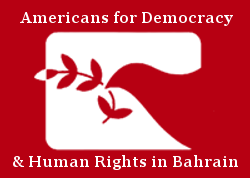 Americans for Democracy & Human Rights in Bahrain (ADHRB) strongly condemns the sentences issued in the “Bahrain Hezbollah” case and the unlawful deprivation of nationality. ADHRB additionally raises grave concerns regarding allegations of torture and other violations of fair trial standards. The court issued the denationalization order as part of its verdict in the mass trial of 169 defendants accused of committing various terrorist acts through participation in an organization the Bahraini government calls the “Bahraini Hezbollah.” The court acquitted 30 defendants and revoked the citizenship of 138 individuals, it sentenced 69 defendants to life in prison, 39 to 10 years in prison, 23 to seven years in prison, and eight men to five years in prison or fewer. The court also fined 96 defendants 100,000 Bahraini dinars – approximately 26,500 USD. Bahrain frequently claims to have discovered terrorist cells financed and supported by regional rivals to bolster and inflate concerns about terrorist activity, using evidence extracted through torture and coerced confessions to support their claim. For example, on 15 May 2018, the High Criminal Court revoked the citizenship of 115 people on charges of committing terror offenses through participation in an organization the government referred to as the “Zulfiqar Brigades,” an organization allegedly established by Bahrain’s regional rivals. However, ADHRB documented that the verdict and the trials were marred by credible allegations of rampant rights abuses including arbitrary detention, enforced disappearances, torture, coerced confessions, and lack of access to legal counsel. With the conclusion of the “Bahrain Hezbollah” case resulting in the denationalization of 138 people, the Bahraini government has stripped 990 individuals of their Bahraini citizenship since 2012. In 2015, the government denationalized 208 people, in 2017, the government denationalized 156 people, in 2018, Bahrain stripped 298 individuals of their citizenship, and thus far in 2019, the government has stripped 181 individuals of their Bahraini citizenship. ADHRB strongly condemns the High Court’s verdict and expresses concern that the sentences are based on human rights violations, including arbitrary arrests, torture, and coerced confessions. We urge the international community, especially the United States and United Kingdom, to pressure Bahrain to condemn the arbitrary denationalizations and prison sentences and to call for the release of the defendants until they can be guaranteed a fair trial in accordance with international standards.